Everything you need to know to get gorgeous, kissable lips. Don’t even think about pumping your lips full of collagen when you’ve got our expert lip care tips up your sleeve. To get perfect Angelina Jolie bee-sting lips, after applying lipstick, and then dab clear gloss at the centre. This helps to reflect the light, amplifying that pout to make it look plumper. Apply a silicone-based serum or even your favourite eye cream around the lip area to plump up fine lines and prevent your lipstick from bleeding into them. Collagen levels reduce with age which means lips get thinner. You can restore volume by using a moisturising, rose-coloured lipstick that’s slightly darker than your natural lip shade. There’s nothing worse than a rim of lipstick left around your lip line after eating or drinking. Make your colour last by filling in your entire lip with lip liner followed by a matching lipstick, or swapping out your cream formula for a liquid lipstick. Pale skin – Go for cool reds. 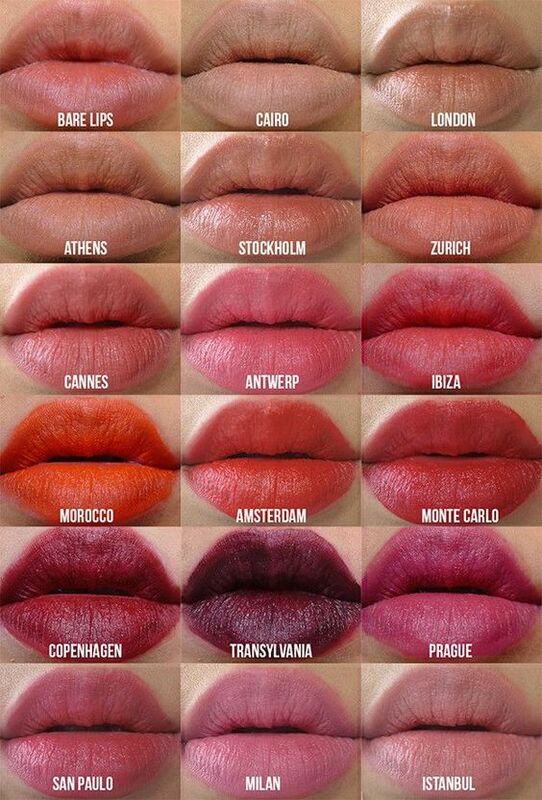 As a rule of thumb, avoid any lipstick with an orange undertone. Otherwise, stick to pale and peachy-pink nudes or go for raspberry shades with just a hint of gold shimmer. Avoid flat nudes as they’ll make you look washed out. Olive skin – Classic blood reds, juicy plum colours and warm nudes with pink undertones will look fabulous. 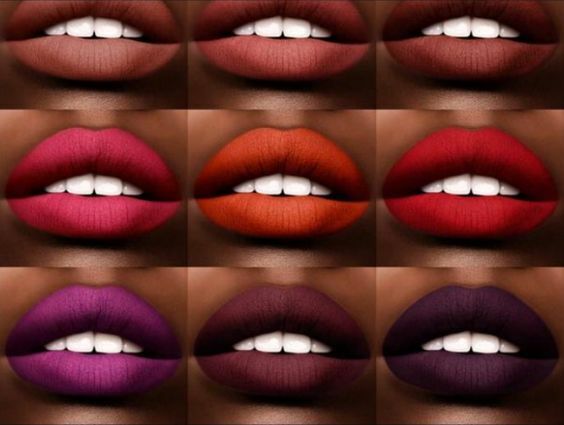 Dark skin – Choose deep ruby reds, intense and dramatic blackberry shades or deeper mocha tones, or dare we say neon colours if you’re feeling brave. You can eliminate harsh lines by blending your lipstick and liner together with a lip brush. There’s nothing more dated than distinctive, all-too-obvious lip liner. Make sure you exfoliate regularly and keep lips moist by reapplying a lip balm throughout the day. Flaky lips look even worse with lipstick on top. Dark, matte colours will make thin lips look even thinner, so choose a shimmer lipgloss in a softer shade instead to give the illusion of plumper lips. Wear a lip balm with SPF throughout the year to protect your lips from sun damage. Gently dab colour onto your lips using your finger for a less intense stain you can wear effortlessly throughout the day. Lipsticks don’t last forever and constant use can lead to a build-up of bacteria. So make sure that you replace your tubes at least every 12 to 18 months. Read more: Make-up expiration 101 – How long does make-up really last? Fair, olive-toned or deep, it doesn’t matter what your skin tone is, RED simply looks magnificent on every woman. You may need to experiment with different undertones, textures and formulations, and chances are you might miss the mark a few times before finding your perfect shade. Don’t give up – trust us, when you do find The One, you won’t want to take it off!